VMCA partner Marcela Mattiuzzo will be a speaker at the 11th session of the Federal Trade Commission’s Hearings Initiative, entitled “The FTC’s Role in a Changing World”, which will focus on the agency’s international work. The hearing will take place in Washington, D.C. on March 25-26. The session will explore the FTC’s international role in light of globalization, technological change, and the increasing number of competition, consumer protection, and privacy laws and enforcement agencies around the world. 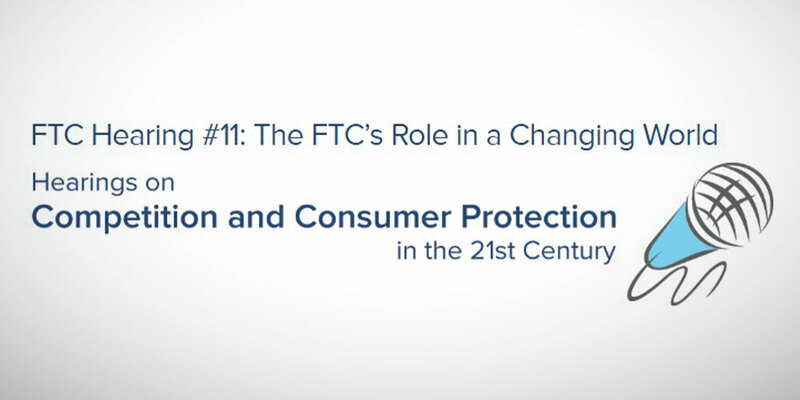 Speakers will address the implications of international developments on the FTC’s work on behalf of American consumers. Marcela will be a panelist at the “International Engagement and Emerging Technologies: Artificial Intelligence Case Study” panel, alongside Chinmayi Arun (National Law University Delhi), James Dipple-Johnstone (Information Commissioner’s Office, United Kingdom), Francis Kariuki (Competition Authority of Kenya), Isabelle de Silva (Autorité de la Concurrence, France) and Omer Tene (Stanford University). The debate will be moderate by Deon Woods Bell and Ellen Connelly, both from the Federal Trade Commission.